ThemeParkMama: Perky Jerky Review and Giveaway! I love jerky and was excited to try a new kind of jerky from Perky Jerky. I have seen it in the stores before but have never had a chance to try it and wow I was missing out. Perky Jerky is great it is very sweet and juicy not hard like others and the sweetness is not over the top or to mild it just taste great. 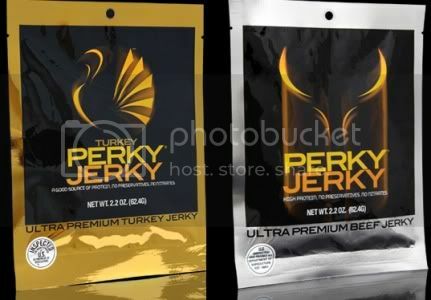 You can purchase Perky Jerky at almost every retailer out there I have even seen it at Best Buy! The jerky comes in both Turkey and Beef. It is made with all natural ingredients including a berry that is found in most energy drinks how neat is that! Wanna win some of your own? Enter the rafflecopter below for a $30 pack of either Beef or Turkey Jerky. Contest will end 7-1-13 open to U.S. residents only. Disclosure: I was given Perky Jerhy to help with my review. All opinions are 100% mine. I want to try the regular beef jerky. I would like to try the sweet and spicy. I'd like to try the Hot and Botherered. The teriyaki would be my choice. I would love to try the Perky Jerky Beef. I would love to try the turkey! 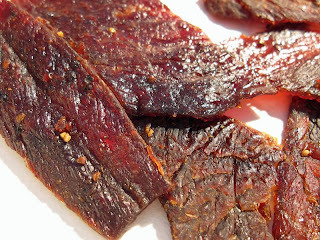 I want to try the Sweet & Spicy Beef Jerky. The sweet and spicy sounds really good.